Latest News: Request a copy of our A5 'Critical Environmental Containers' Catalogue NOW!! Request our NEW A5 'Critical Environmental Containers' Catalogue NOW!! Request our NEW A5 'Critical Environmental Containers' Catalogue NOW!! 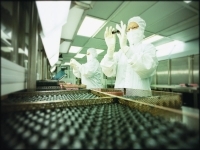 Our pharmaceutical and clinical trial customers now have easy access to the full range of pre-cleaned glass, plastic, HDPE-ware as well as the unique custom cleaning service. TOC vials for testing purified water systems, sterile vials, silanised culture tubes as well as many other products ensure Sword has an extensive range to cover almost all applications. All containers are certified, custody sealed and batch traceable to meet all required quality and acreditation standards. 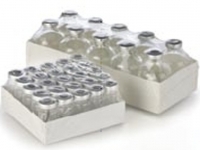 Clear 40ml Autosampler TOC vials for purified water sample testing, cleaning validation and other low level TOC applications. Supplied Custody Sealed and Certified (Amber available upon request). 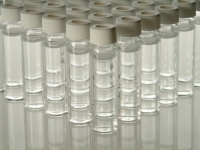 Clear Type 1 Borosilicate pre-assembled vials complete with Butyl Stoppers and aluminium seals. Suitable for use where aseptic protocol is required. Supplied Custody Sealed and Certified. (Amber vials available upon request). Custom service offered for high or low volumes with full customization of required cleaning, packaging and Certification of containers to meet with clients specific process requirements.